There is not a place in all of UK that has the number of historic and archaeological facts as North Norfolk. There is more than just history and archaeology to discover. 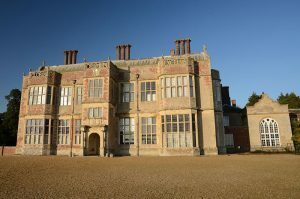 You will discover the beauty and of the North Norfolk after reading the content of this site. This is complete guide for visiting North Norfolk. You will find what to do, what to eat, where to eat, where to stay and how to get to North Norfolk as a visitor in this guide. Holiday is the only thing that happens in North Norfolk, it is a good place to live and work for families. If you just go through what’s detailed here, then you will be prepared in case you ever decide to move to North Norfolk. Or in case you decide to remain there after your holiday. Being an AONB, you are about to find out why this amazing coastline is frequented by visitors all year round. Read about the stately buildings and the awe surrounding these buildings. If you have never seen a casino in North Norfolk, this information will tell you exactly where to find one in North Norfolk. The climate change in the world today is a concern for everyone, but what you are about to find out here is how this climate change has led to some of the amazing discoveries in North Norfolk. Speaking of discoveries, it is not enough to read about them, you should pay a visit to the museums in North Norfolk where these discoveries are being displayed.